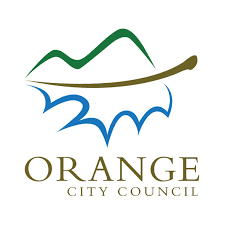 Orange City Council has a policy titled Ageing and Disability Services which outlines Orange City Council’s commitment to provide a range of quality services for older people, people with disability and their carers that complies with the requirements of the Home Care Service Standards. Council works in partnership with the community and community organisations to identify appropriate responses to the identified needs of older people, people with disability and their carers in line with the objectives of the Orange Community Strategic Plan 2014 – 2024. Orange City Council provides a wide range of services for people who are ageing, people with disability and their carers under the name Choices at Home. Orange City Council acknowledges that these services are supported by financial assistance from the New South Wales and Australian Governments. Council has undertaken Third Party Verification and a Quality Review to provide services to people 65 and over as well as services to people aged under 65 who are living with disability. The Orange Library provides a volunteer book delivery service to older people who are house bound. Choices at Home also provides a great range of volunteering opportunities for community members who like to get involved and give back. Council conducts a range of community activities engaging volunteers and building social capital. Orange City Council is committed to making our community more age-friendly by expanding on our existing Liveable Communities Action Plan. The expansion of this plan will involve consultation with community members and community groups as well as consultation with local service providers and relevant Council staff. These consultations will lead to the development of the age-friendly community action plan which will outline strategies to make our community more age-friendly within designated timeframes.